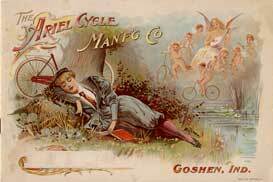 Ariel cycles were built in the U.S.A. at Goshen in Indiana. 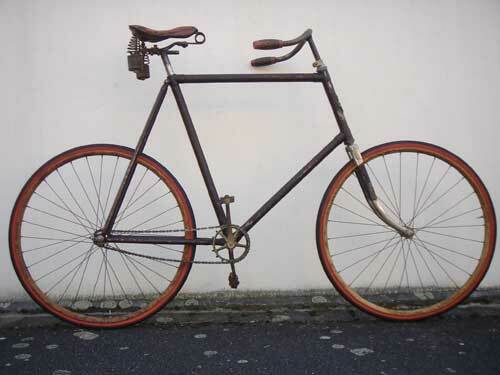 The website of The Wheelmen dates the factory to 1892-98. However, it may have existed into the early part of the 20th Century. There was no relationship between Ariel in Goshen and Ariel at Selly Oak. The Ariel Cycles factory in Goshen was finally demolished in 2011. Click here for pictures. There is an account of a trip across the U.S.A from Seattle to Boston in 1896 on Ariel cycles by two men, Babcock and Turner, that makes interesting reading. 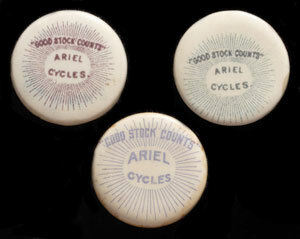 Ariel Cycles of Goshen issued some 'Bike Buttons' or 'Cellos' made from celluloid, these were popular with the cycling fraternity at the time. Three examples are shown here. 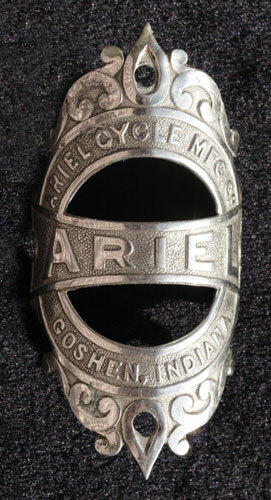 Right is a headstock badge from a Goshen Ariel Cycle. An 1895 catalogue issued by Ariel of Goshen. Click for more details. A strange survivor is shown on the right (click to enlarge). It is very fragile. 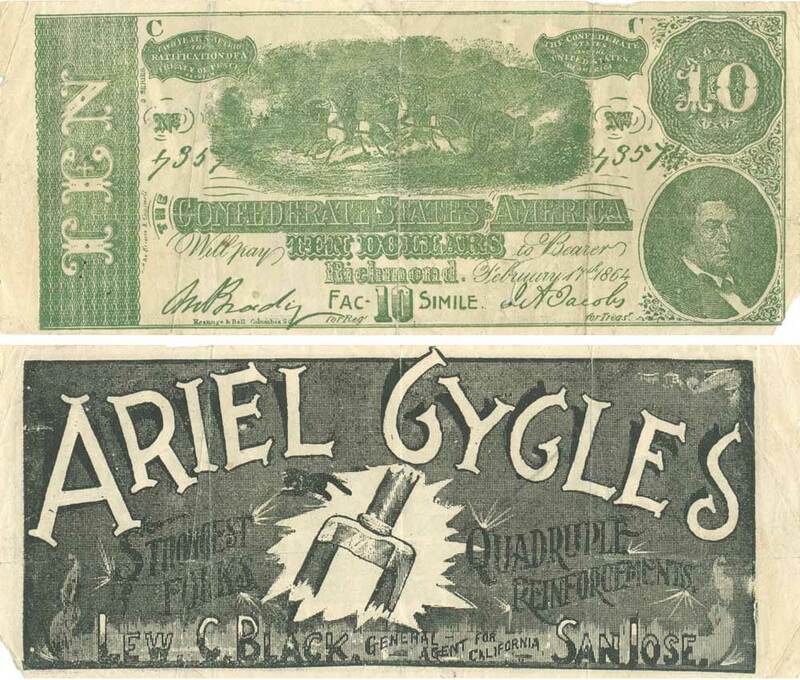 It is a facsimile Confederate States of America 10 Dollar bill on one side and an advert for Lew C. Black of San Jose, the Ariel Cycles agent for California on the other.